This program is designed for athletes who are focused on racing. The focus is on learning to paddle and compete in sprint canoes and kayaks. *Please note SNCC reserves the right to delay or end programming early due to weather, and/or water conditions, and enrollment. 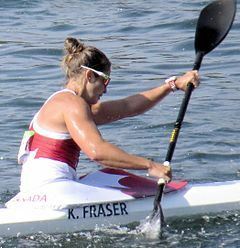 This winter come join coach KC Fraser and South Niagara Canoe Club for our off-season program where we will be working on strength and fitness as well as the technical aspect of the kayak and canoe stroke. This program is a great way to get into paddling shape before the summer racing months. Specific dates and workouts can change at the coaches discretion. Developmental+ is 3 sessions per week, $425 Mondays Fridays and Saturdays and is for those paddlers who have completed a program already and want to transition to racing. 1 session per week $275 is a choice for those that only want to join us in the tank & gym at the Welland International Flatwater Centre for 14 sessions on Mondays from January through April. Family discounts are provided for multiple registrants from one family. Second children receive a 10% discount, while all subsequent children receive a 25% discount (discount to be applied to the program of equal or lesser value) *if you register for the discounted amount against the higher valued program, SNCC will automatically correct the invoice. High Performance is for experienced paddlers who are interested in competition and reaching their full potential. Participants will be competing at the local and provincial level as well as National and perhaps International events and will be instructed according to Train to Perform standards of the Sport Canada’s Sport For Life Pathway. Athletes will be training 8-10 sessions a week focusing on both on-water and off-water workouts with a qualified coach. Competitive preparation for competition will focus on singles and crew boats and will encompass goal setting and specific race strategy. · This program requires a minimum of 10 volunteer hours per family per year, or a $100 volunteer opt-out payment. All registrants will be required to submit a volunteer cheque or deposit to complete registration. SNCC is a club and to participate in any of our member programs you must have an annual membership. The annual membership fee for the 2019 season is $95.00. We offer a family membership for $170.00 for up to 6 family members. This is to be paid once per year and allows the member to register and partake in our different member programs and allows each member voting privileges at the club annual general meeting. We prorate membership fees for new members only. New paddling location - Welland International Flatwater Centre, 16 Townline Tunnel Road, Welland, ON.